Thank you, thank you , thank you to everyone. For all the memories shared, donations and words of comfort, please know each is truly appreciated by Carl's family. It means so much to us to know how many people loved and respected Carl. Many of you expressed such beautiful memories and words of comfort that we truly understand why Carl enjoyed his work so much. On behalf of Carl's daughter, Destany, and our family we would like to thank you for the generous donation made. Please know that the funds are set aside to send Destany to college to ensure she has the future Carl dreamed for her. Carl truly enjoyed his work and interacting with so many people. He loved problem solving and figuring out new and interesting solutions. Many a time he would share with us what he was working on, especially when he helped someone with their application or was able to change code from 8 lines to 3. Most of the time we would smile and nod even if we didn't have a clue to what he was talking about. We knew his job wasn't work to him but a chance to help people and solve a problem. It is wonderful to hear from his Internet family since we saw the hours he put in (even if we were encouraging him to get off the computer to come play). We saw how hard he worked and how much of himself he put into everything he did. Hi i am new bee here. I seen the information above it ill be more useful for me, its to good information to see in you blogs. ;-) Real Estate Script"
I am new to Apex and want to start working in it, while searching I visited your blog which is very nice. I know you are a busy person but please if you can guide me will be great help. I want to know can I use Apex with MY SQL or Sql Server ? Secondly can I use Dotnet web services in Apax ? I worked with Carl for about 8 months back in 1999 when he was still doing Geographic Information Systems for a consulting company in San Rafael. We were considered the "young guys" in the office and worked in the same room about 10 feet apart. 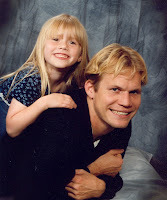 He was a fun guy, very smart, also very intense at times, loved his daughter immensly, and he was always on the go. He loved riding his bike over the Golden Gate each day. I only knew him for a short time, but he made an impression on me. Lots of good memories. I am sorry to learn of his passing. Inspired Design:: A Web Development Company which offers A Quality Web Applications, Payment Gateways, Search Engine Optimization and SMS Marketing. We have Developed a CMS Based Web System which meets the high Web Standards. I had the privledge of meeting Carl at OOW 2007 - he was looking after the Apex stand in the convention hall. What's funny is that I went to OOW to look at everything BUT Apex, but after talking with Carl for 10mins came away an Apex convert!!! A few months later I got stuck and sent Carl an email...figuring he would A) be to busy to reply, and B) not interested in a newbie question. What happened next was amazing...I got a reply.....two hours later!!! It wasn't till I checked the email times that I got an idea of Carl's dedication :) I had sent an email from New Zealand (middle of the day), Carl was in America (Las Vegas?) and it was the middle of the night...he had taken the time to reply to a stranger he wouldn't have remembered at 11pm!!! is he die? need donation for charity matter? Nice. Keep going good work. Our memories are unforgettable part of our life.Nice blog and good work. Very nice blog.Your writing skills are awesome.I will share your blog to my friends.Thanks for sharing. Excellent work.Your blog is amazing.Nice and keep it up. I like your post It's informative and intresting keep stuff like this.Thank you for such a fantastic blog.good work author keep up it .. Thanks for sharing this post, which is really excellent to make look into it. Its really informative too. Good post. Good concept chosen in this post. Its really informative too. you wrote a a very excellent article. i read this and its touching my heart. our memories are the such activities which will remain in our mind forever. that's great blog. Donation is the best way to save some's life so make a donation and help others and keep blessed. Fantastic blog post, I wish to apprentice at the same time how you amend your website. I would be glad to recommend the post for its quality content. It is excellent toward be real examine and who besides resolve study it he spirit absolutely obtain several supplementary. It's always nice when you can not only be informed, but also engaged! I'm sure you had fun writing this article. Hey buddies check out the newest and the coolest collections of galaxy note 2 cases in SF planet with discount in price and free shipping all over the U.S! well written, find your style of writing is very rich. Written in a very good, hope you can continue to try hard, to write better! I must say I am very impressed with the way you and your site effectively messages are very informative. You really captured the attention of many, apparently, go! Which may ultimately lead to a equity psition. I am looking for environment where my expertise, creativity and motivation can fully be utilized. Really take the satisfaction in this article. I’m very happy to read this, looking forward to read more. Great. You can dispatch it's pure gold. Your blog hunches shall expand your subscriptions. I just like the valuable information you provide for your articles. I’ll bookmark your blog and check once more right here regularly. I am reasonably sure I will be told plenty of new stuff right right here! Best of luck for the following! Cool post! Thank you for an excellent write-up specifically about this topic. A very awesome blog post. We are really grateful for your blog post. Thanks for such post and please keep it up. Great work. Would like to see some other posts on the same subject. I am sure that what you have said will definitely pierce the ears of your readers and make them think more deeply about it. Impressive Information on the blog. Hi! I just want you to know that I admire your post. I hope there will be more good post here in your site. Thanks for sharing this post to me. Cool father and son quality time! There is the unobstructed view of the city skyline, the Macritchie Reservoir, and Singapore Island Country Club Golf Course awaiting those who seek to harmonize this modernity with serene and soul healing panorama. Pop Up Display: Pop-Up Displays sind heute nahezu der Standard bei mobilen Messeständen. Kaum eine kleine Messe kommt ohne diese faltbaren und mobilen Messewände aus. Unsere Faltdisplays mit Magnetbespannung zeichnen sich durch eine besonders hohe Fertigungsqualität und Benutzerfreundlichkeit aus. So kommen unsere Systeme z.B. ohne serviceanfällige Federn aus. Zur Lampenmontage wird keine Leiter benötigt - man steckt die Strahler einfach auf die Verbinderhalterungen auf. So können Sie das Scherengitter mit montierten Lampen aufstellen. Trotz der beeindruckenden Wandgröße des fertigen Systems kann es demontiert in jedem PKW transportiert werden. This community is very awesome!!! I found the threads very interesting and informative. You should try to visit The LucidIre Community Ltd. Your service was really good.Zinavo Technology is the best web design and web development company in Bangalore. homeowners and bloggers made good content material as you did, the web will likely be much more useful than ever before. Hey! Fantastic blog! I occur to be a each day visitor to your web site (considerably more like addict) of this website. Just wanted to say I admire your blogs diet sehat menurunkan berat badan and am wanting ahead for extra to return! FreeWEB.PK Free web hosting in Pakistan. Many of your followers and visitors expressed such beautiful memories and words of comfort! This is a magnificent article; I wonder where I can find the mla handbook for writers of research papers? Does anyone know?